Expenses related to owning property are never-ending. Even if your mortgage is paid, there are still costs associated with maintenance, repairs, insurance and taxes. The annual property tax bill is one of the biggest items that must be included in your budget, whether you owe residential property taxes, commercial property taxes, industrial property taxes, or business personal property taxes. Therefore, it is important to be sure you aren’t paying more than your fair share. Your local government sets the property tax rate based on the funds required to support public services such as schools and fire departments. This rate is expressed as a decimal, and it is referred to as the multiplier. Next, your property assessment is added to the mix. Finally, your exemptions are considered. Examples include the Homestead Exemption and the Disabled Veteran’s Exemption. Your final tax bill is the property assessment less any exemptions multiplied by the tax rate. Tax rates and the exemptions available to you are determined by legislation, which means there isn’t much that can be done to reduce your overall bill in these areas. However, your property assessment is a different story. You have a right to a fair assessment of your property’s value, but due to the methodology used by assessors and the sheer volume of properties they must review, it is common to receive an assessment that is too high. Errors can — and do — occur on a regular basis. If your property is overvalued in an assessment, or if you determine that the appraisal is higher than other, similar real estate, there are steps you can take to correct your assessment and lower your tax bill. Every tax district has a process for property tax protest in which you can present detailed information to show your real estate has been improperly assessed. When you’ve successfully learned how to protest property taxes, the assessed value of your property is adjusted, which results in a lower tax bill. If you believe your taxes are too high and you want to protest a property tax increase, contact our experts. 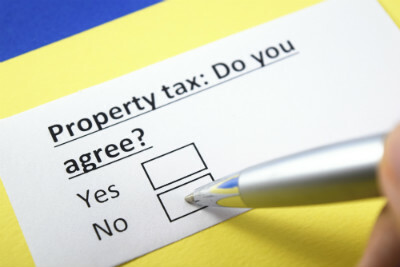 Our firm specializes in property tax issues, and our property tax consultants know how to protest property taxes successfully in districts throughout the state.